This post is written by Nathan Tableman–he has a blog at www.tableman.com. Like many Homo Climbtastic attendees, he got a prestigious degree that he does not use, and works in software infrastructure offshoring or god knows what, and now primarily uses his marine zoology training to maintain his home aquarium. We had both made it up the 9 in the corner about an hour before after I failed to replicate his start and came up with another way to get to the shelf about 8 feet up in the air on the first move. I got a grunt in reply and the rope had a little slack. He had just pulled another move. It was getting dark. When Chavez arrived at the anchor, we slowly setup everything needed to rap down, double checking work, moving slowly. It was the end of a long day and we both wanted to go back to camp safely. We had decided to do the climb a little alpine style in case Chavez couldn’t do the 10, plus the full exit was this crazy roof corner at 11b. Here is your protagonist in the midst of each passing moment; with the input of the rope, the climb, the spiders, his hands, the conversation, the smell of climbing all day, the heat, the sunset…it was all far too much to take in and make comprehensive meaning. Instead he focuses on the moment, the feeling of the moment, the happiness, the excitement, the being in the life he is leading. Here on the rock. Focused. The rest, the enormous details, to be recorded using the sensitive emulsion of the mind, archived for tales to be told later and deeper meaning to be extracted, created, and refined over a lifetime. In retrospect, I didn’t really mean what came out of my mouth, but we were both getting hungry and it didn’t really matter at this point. 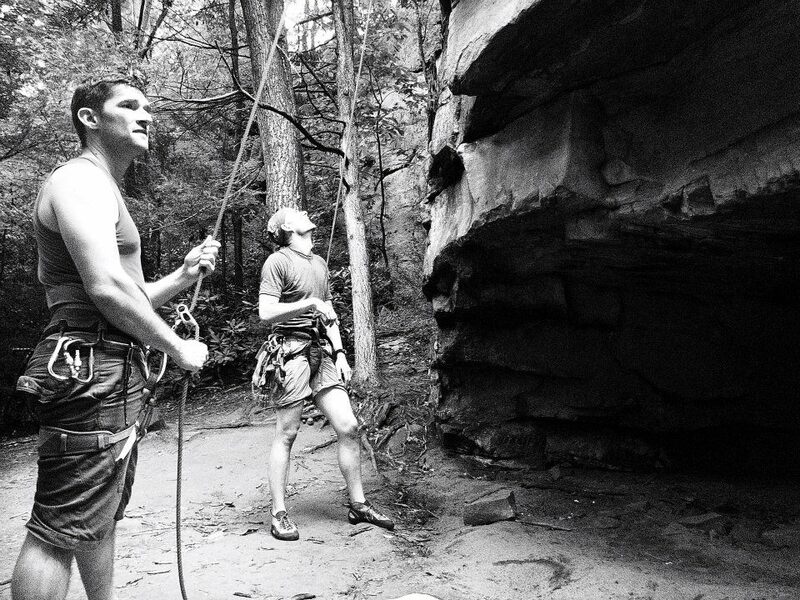 Earlier that day, before the rain, I was with Joe, Jeremy, Henry, and others at Beauty Mountain working on a 10 start when Jamie chimed in with some beta on how to handle the move and setup the rest of the climb. The conversation started, if I recall correctly, because I liked the pink toe nail polish Jamie had on. The beta was spot on and I nailed the start first try the next time I did it. 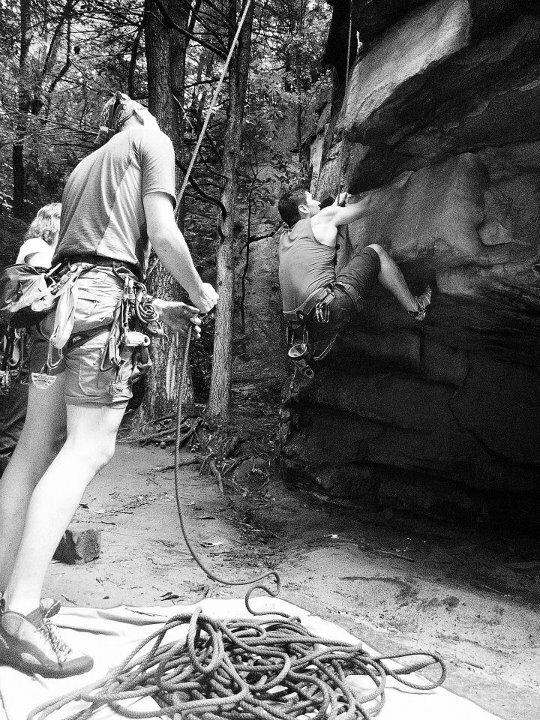 Later in the trip I would find myself having a conversation out front of the bar where I asked her a million questions about crack climbing, because I had done a couple crack climbs and found myself becoming very into it. The holds and style were completely new to me and it lit up my brain. 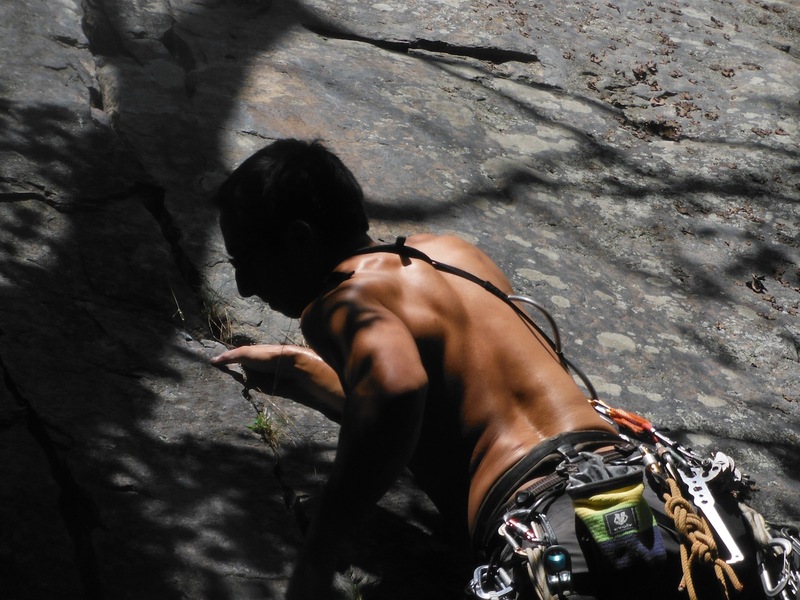 I am a newish climber, my first trad lead was in March of 2012. 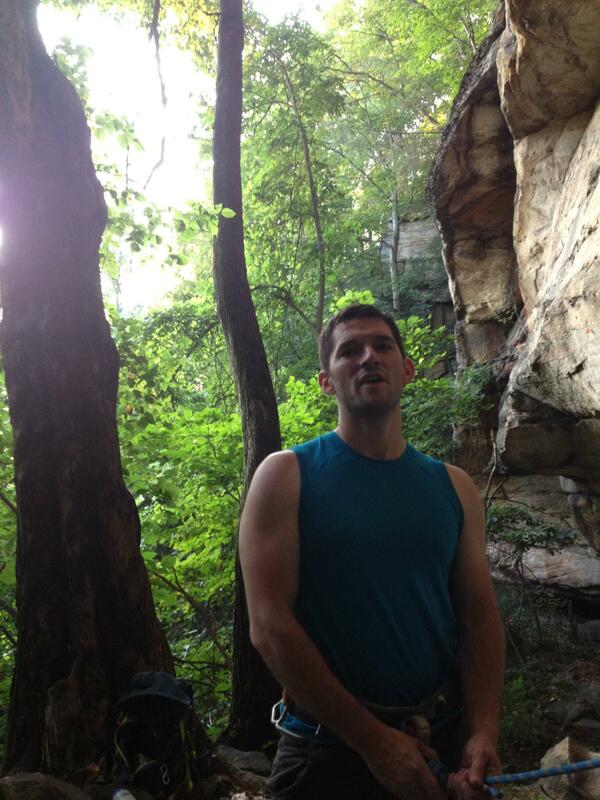 I had top roped before outside a couple times, and about 9 months of gym climbing. 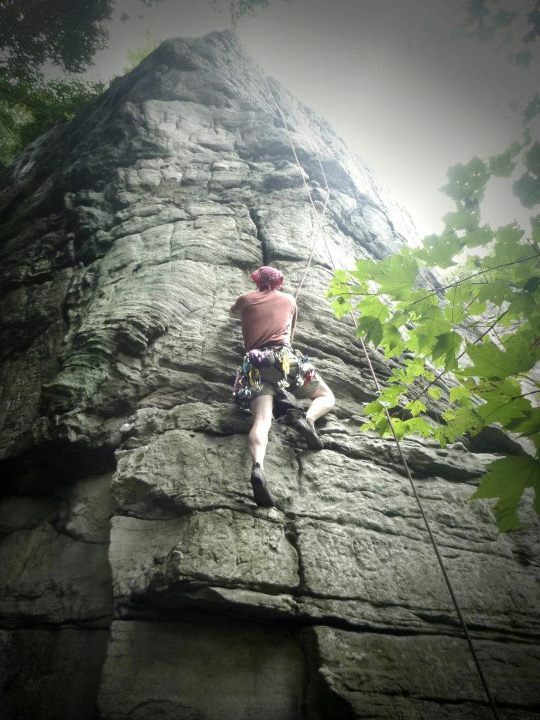 Nearly all of my experience is at The Gunks, not vertical crack land. I have some alpine routes under my belt as well, up in Maine at Katahdin and Whitney-Gilman (um, I lead the Pipe Pitch!) and other routes at Cannon Mtn in NH, but again not like these successive one pitch fun cracks starting at 8 and heading upwards. Hell, being gay, lesbian, trans, whatever you are, makes us all acutely aware we are different. Sometimes too often. But in the end, I thought; I like to climb. Maybe these people will be weird and like to climb like me. Worth a shot. I am going. I hope this is not shocking to anyone: Every single person I met was weird and thank goodness for that!!! The denouement; the conversation where some of us were talking about how the world is not designed for oddballs. We are all supposed to play by the rules and being gay means you opt out in some ways and that is liberating. Walking with Joe over to Happy Hands (another crack!) and without thinking too hard, I went on up. Sun dappling the crag, and thinking to myself that trad lead 9’s are work for me when they are not cracks, let’s see about this one. I was pretty certain the crux was about 75% up where the wall got smooth and the crack opened up wider. My hands were wet and I chalked up often to keep them as sticky as I could and because I was nervous. I notice I chalk a lot when thinking about a hard move. The heat was stiffing, but I was feeling good. I did it. Yeah, done. 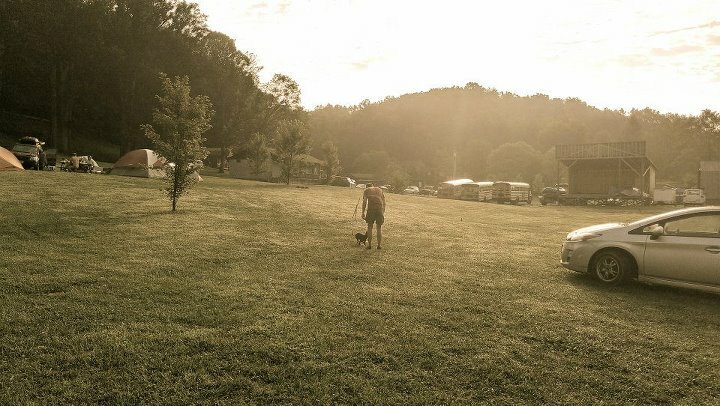 In our own little trad world, we recognized the time and packed up to get back to camp, clean up and attend the presentations and festivities for the evening. I, along with many others, would be heading out in the morning. It was like summer camp was over and real life was waiting for us at home. I hadn’t put on real clothing, nor real shoes, all week. I had little desire to change that. 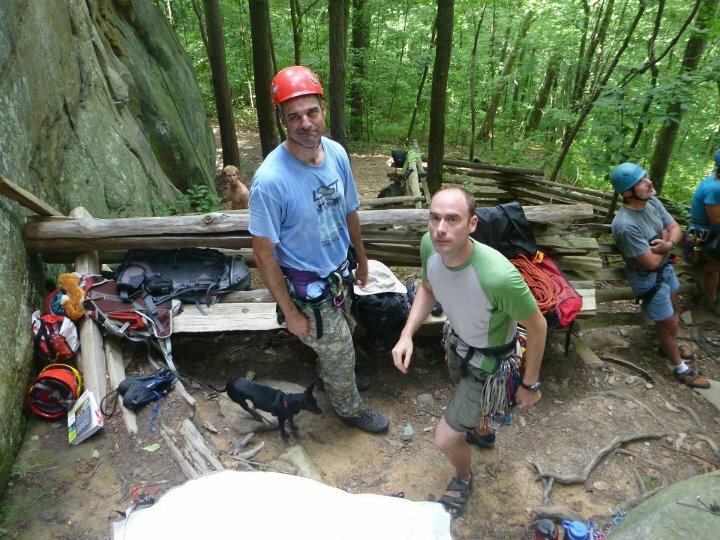 This entry was posted in Climbing Info and tagged american alpine club, climbing, gay, gay rock climbing, lgbt climbing, New River Gorge, rock climbing by Ra-ra. Bookmark the permalink.